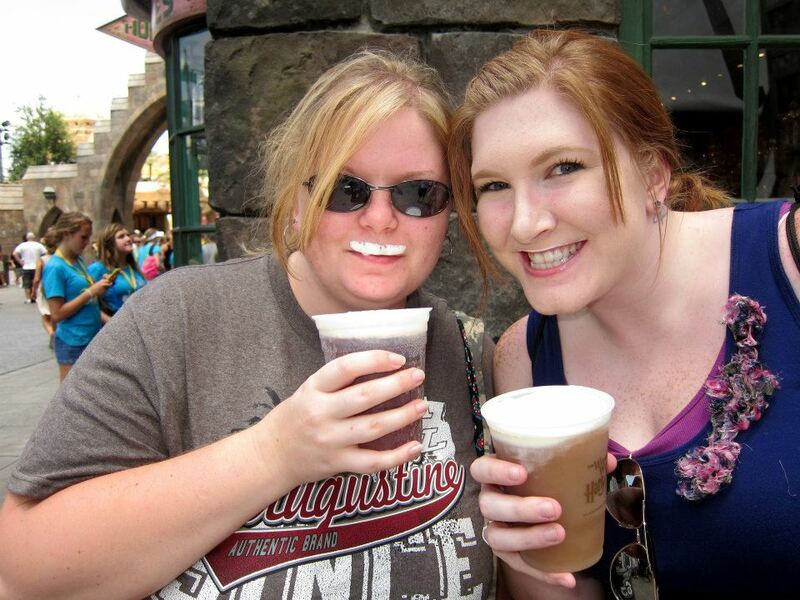 There are a million “better” pictures I could share, but this one is true friendship: sharing Butterbeer mustaches at the Wizarding World of Harry Potter in Florida! Amanda is the voice behind Rockabye Someday, in which she shares her journey of trying to start a family. I am incredibly proud of her for putting her life out there for all the world to see and I know that by sharing her struggles and triumphs, she has touched the lives of countless others in the same position. She is an amazingly strong individual with an old soul and her heartfelt posts only begin to touch on the type of character she has. Amanda is honestly one of my inspirations, both as a blogger and as a person. Now, I know this has nothing to do with traveling West Virginia and no, I don’t have any scenic pictures to show you, aside from the one above featuring myself and Amanda (if you look close, you can see a partial Honeydukes sign!). However, Amanda is a former West Virginian (now down south on an army base with her husband) and that’s enough for me. I wanted to publicly share how proud I am of her for putting her heart out in the open with Rockabye Someday and I urge you to check it out. It’s not travel-related, it’s not West Virginia specific, but it is guaranteed to warm your heart. I don’t even know what to say! This girl is the kind of friend a person hopes to find but almost never gets in her lifetime. I miss her terribly and wish I didn’t have to live so freakin’ far away, but I would never wish Georgia on her! As you can see, she is THE WV Travel Queen and she is always updating her blog with breathtaking pictures and pieces of our home state. Whether you’re interested in photography, travel in general, or want to take a look at an already beautiful state through the eyes of someone who is truly in love, you should spend a little time over there today. Sara has been especially supportive of our journey, and has been there for me to listen to my whining about how unfair the baby universe is loooong before I was ever brave enough to start writing Rockabye Someday. She probably deserves a medal because she took my blubbering in stride, smiling and reassuring me that not only was there a baby in my future, but it was going to have an awesome mom. o. So, I don’t think she even understands when I try to tell her how priceless her support is. I never would have had the courage to begin my own blog without reassurance from the handful of people who understood how important this was for me. I ESPECIALLY wouldn’t have been able to do it openly. I could go on forever about how clever and talented and ambitious and awesome she is, but at this point I really just need for you to take a look at her blog. See for yourself what an amazing woman Sara is. With a best friend like that backing me up every step of the way, it’s no damn wonder I am so fearless when it comes to sharing my own story. 😉 Thank you, Sara, for everything. If anyone is the inspiration here, it’s you.